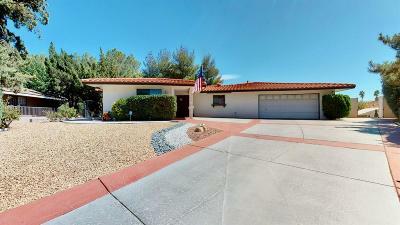 MAJOR PRICE REDUCTION- SELLER SAYS SELL!! Live on the greens of your favorite hobby so you never waste a minute getting there. Stunning renovation on the 4th hole. Refresh your spirit in this irresistible 3 bedroom + office/4th bedroom, 5 bath home. Open & airy design, large tile & prefinished wood flooring with carpeted bedrooms. Completely remodeled open kitchen, now doubled in size, open to family room with a beautiful fireplace. Kitchen has rich cabinetry, soft-closing drawers & cabinets, gorgeous granite countertops & breakfast table. Upgraded new stainless appliances; double sink with upgraded faucet & never used Samsung dishwasher. Step into the great room with soaring vaulted ceilings, massive sliding glass doors, formal dining room with an elegant 3 tier chandelier, living room with a wood burning stove & extraordinary views. A spacious master suite with an x-large walk-in closet, dual sink granite vanity and granite step-in shower. All bedrooms have updated private bathrooms. All this & more; downstairs you'll find a large game room with a pool table that stays. You will also find a large room with 1/2 bath that is currently a home theater complete with a large screen TV, but can also be used as in-law quarters. Outside it keeps getting better with a custom redwood wrap-around deck, newer entertainer's patio & netted golf practice cage. Enjoy all that the Spring Valley Lake life has to offer. Directions: Head Northeast On I-15 N, Exit Bear Valley Rd Turn Right Onto Bear Valley Rd. Turn Left Onto Spring Valley Pkwy, Turn Right Onto Kalin Ranch Dr, Turn Left At The 1st Cross Street Onto Fairway Rd, Turn Right Onto Country Glen Ln.